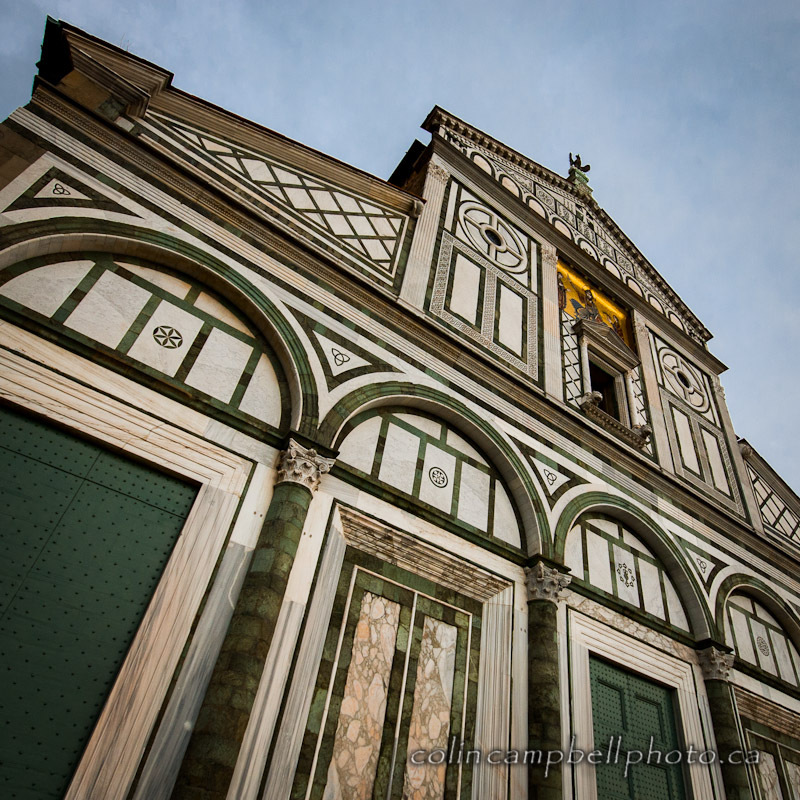 San Miniato al Monte (St. Minias on the Mountain) is a basilica in Florence, central Italy, dedicated to Saint Minias, standing atop one of the highest points in the city. 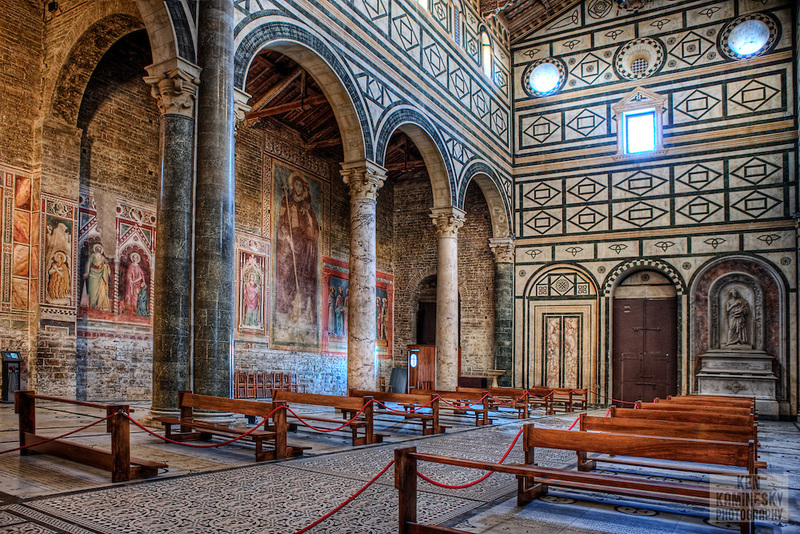 It has been described as one of the finest Romanesque structures in Tuscany and one of the most scenic churches in Italy. In Europe there are many saints and martyrs of Christianity being venerated that originally hailed from Armenia. One of such martyr saints was Saint Minias. Saint Minias or Minas (Armenian: Մինաս) was an Armenian prince serving in the Roman army under Emperor Decius. 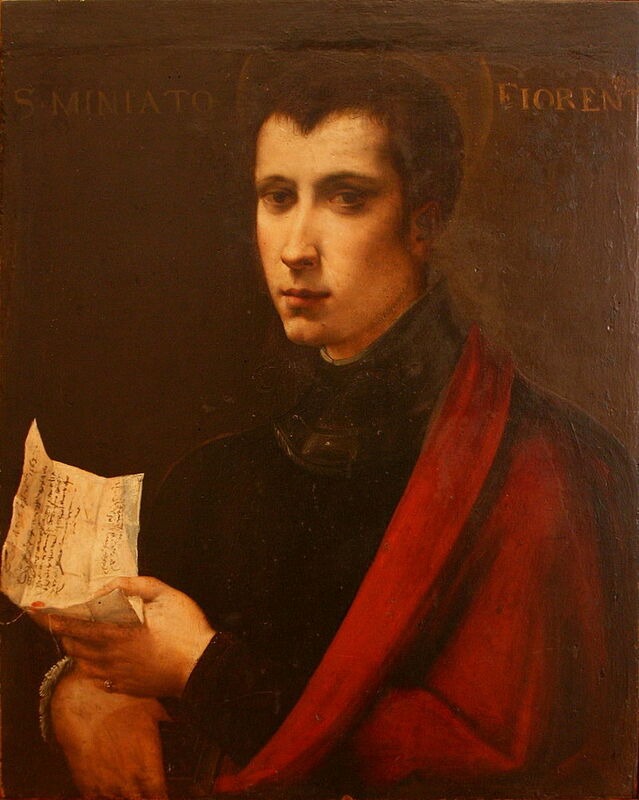 He was denounced as a Christian after becoming a hermit and was brought before the Emperor who was camped outside the gates of Florence in 250 AD. The Emperor Decius was persecuting Christians at the time. Minias refused to sacrifice to the Roman gods, and was put through numerous torments – he was thrown into a furnace, was lapidated, and was thrown to a lion at an amphitheater – from which he emerged unharmed after the lion refused to devour him. 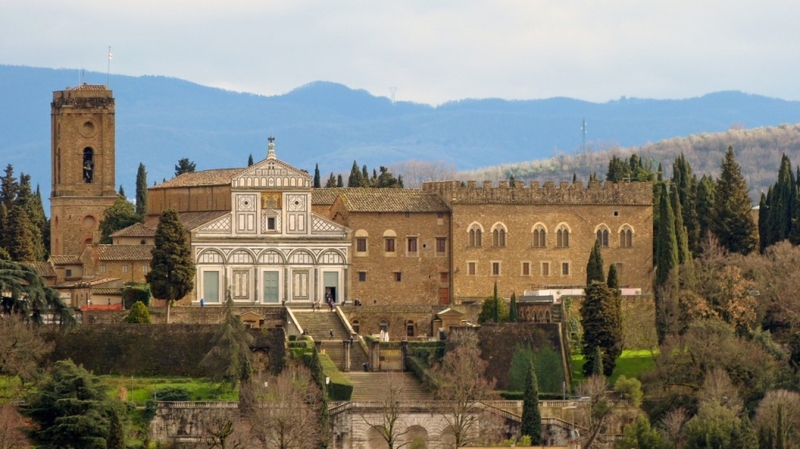 He was finally beheaded in the presence of the Emperor, but his legend states that he picked up his head, crossed the Arno and walked up the hill of Mons Fiorentinus to his hermitage. A shrine was later erected at this spot. 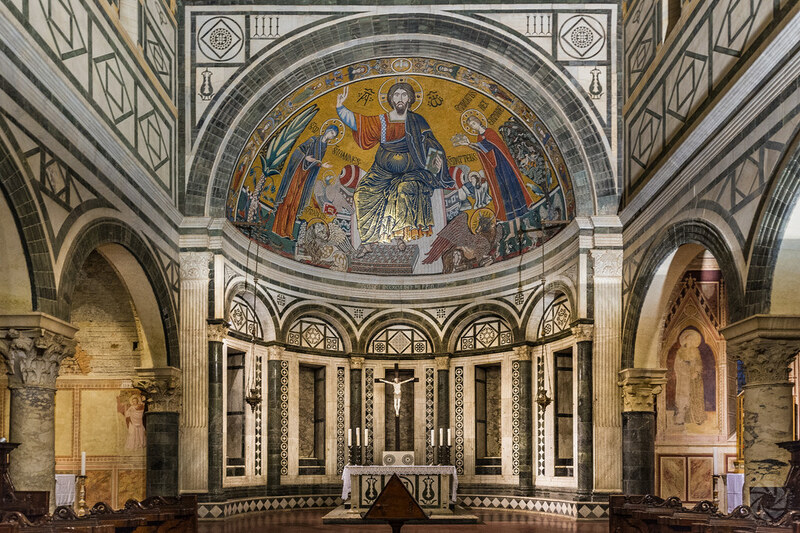 The church of San Miniato al Monte is dedicated to him. Minias’ relics rest in a crypt in the church dedicated to him. 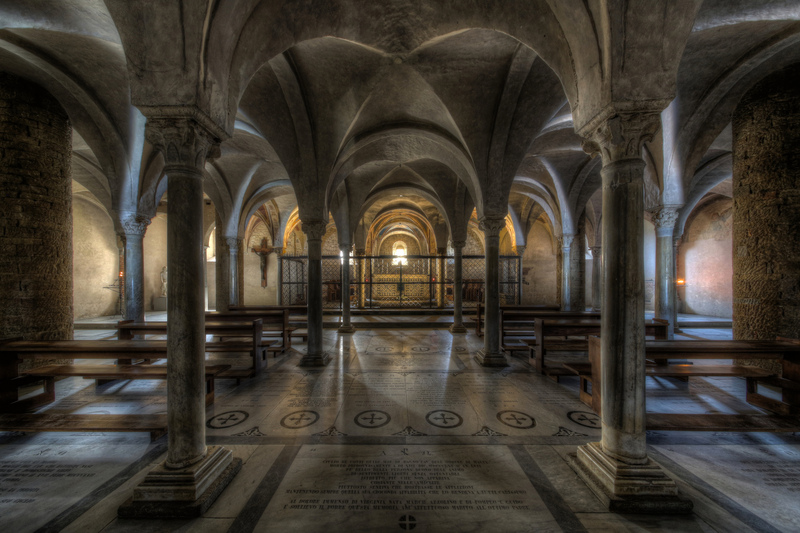 The crypt is the oldest part of the church and the high altar supposedly contains the bones of St Minias himself. 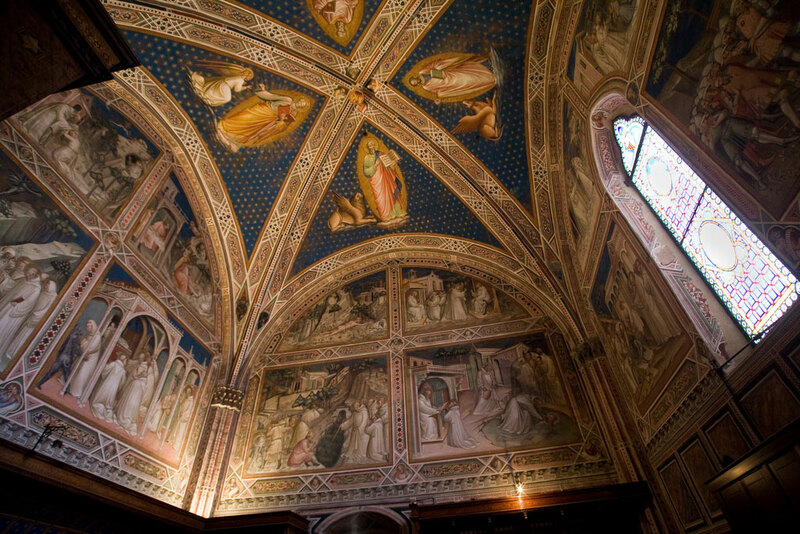 In the vaults are frescoes by Taddeo Gaddi. 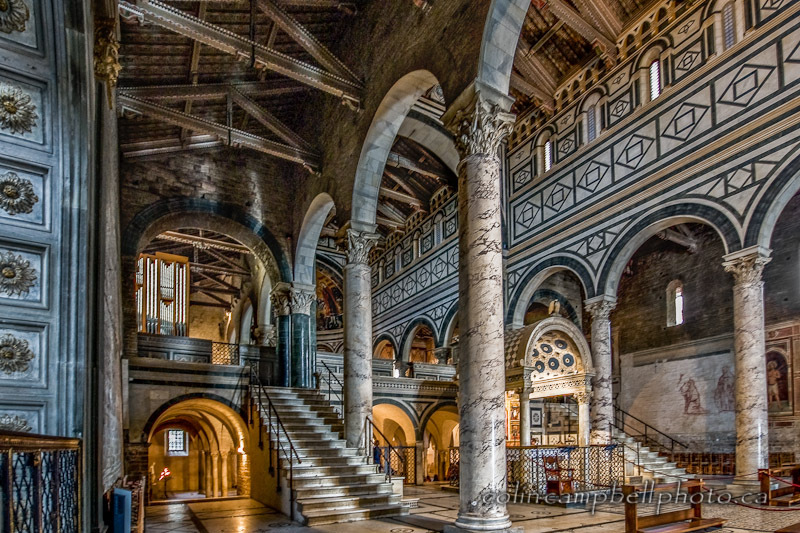 Construction of the present church was begun in 1013 by Bishop Alibrando and it was endowed by the Emperor Henry II, Holy Roman Emperor. The adjoining monastery began as a Benedictine community, then passed to the Cluniacs and then in 1373 to the Olivetans, who still run it. The monks make famous liqueurs, honey and tisanes, which they sell from a shop next to the church. There is an adjoining Olivetan monastery, seen to the right of the basilica when ascending the stairs.